If you are a lover of tech and oriental food then this is the perfect place for you. 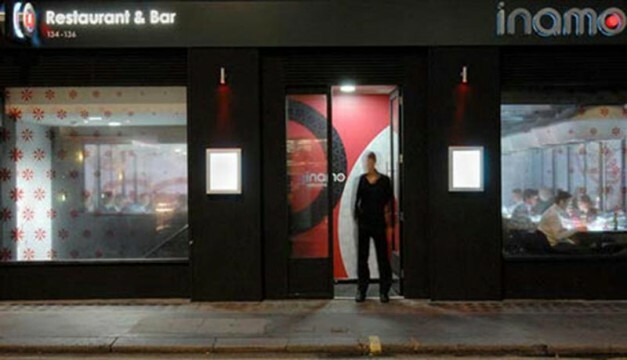 Situated in the heart of West London on Regent Street, this innovative concept has replaced menus and waiters with Bluetooth, touch screens and projectors. 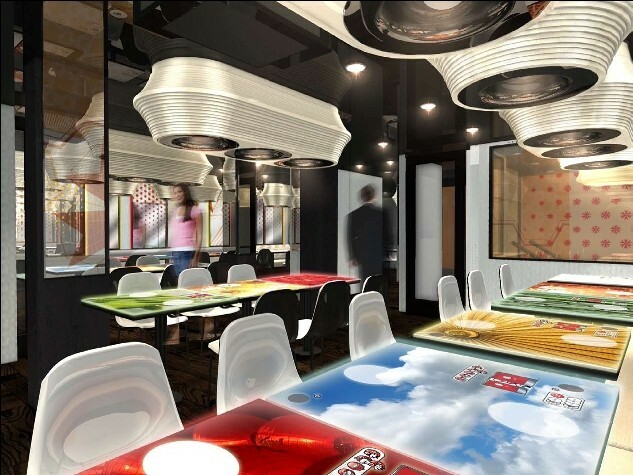 As you take a seat in the restaurant you are faced with a touch pad, from which you are able to choose your meal, meal size, entertainment and even colour schemes. There is a projector above each presenting the menu options, while a computer communicates between the table and a central server, which is then delivered to the kitchen. Once you are finished you simply press a button and the bill arrives, you can even order a taxi home or learn where to go on to in the area.